Are you ready to bring the Moscow mule into the holiday season? It's incredibly easy with a festive recipe like the Christmas mule. 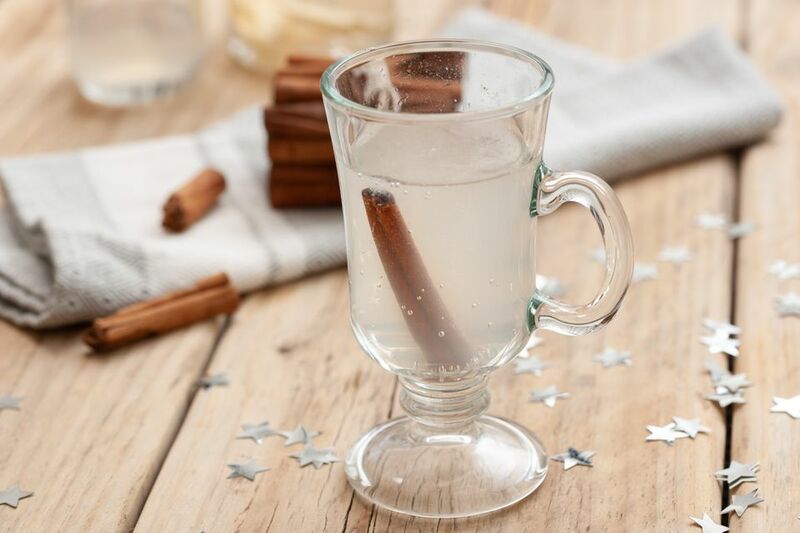 This warm and inviting take on the popular vodka cocktail is filled with the flavor of pear, cinnamon and ginger, making it a pleasant sipper for any cold winter night. The Christmas mule recipe is a simple rendition on the refreshing vodka and ginger beer cocktail many of us have come to love. Rather than a clear vodka, we're opting for a pear-flavored vodka which you can either buy or make at home. You will also need to warm up your favorite ginger beer before adding a single cinnamon stick. This is more than a garnish, though. It infuses the cocktail as you drink and adds to the inviting flavors. You'll find this to be a fantastic hot cocktail for a casual dinner party, a holiday gathering or a cozy night by the fire. It takes just a few minutes to warm up and mix and you'll soon be on your way to comforted bliss. To make the Christmas mule, you will begin by warming up the ginger beer. It can be done in the microwave or on the stovetop. With both options, the goal is to gently warm the ginger beer, but you don't want to get it so hot that it loses all of it carbonation. You will also want to choose a heat-proof glass or use your favorite coffee mug. As with all warm cocktails, it's best when served in a warm glass. If you use the microwave, the job is already done for you. Should you opt for the stovetop method, pour hot water (like that from your teapot) into the glass while warming up the ginger beer. Dump the water out before building your drink. Pour the vodka and ginger beer into an Irish coffee glass or mug. Microwave for 10 to 20 seconds. In a small saucepan, heat the ginger beer gently for a few minutes. It should reach a very low simmer, but not a boil. Pour the vodka into a warmed Irish coffee glass or mug, then top with the warm ginger beer. Drop a cinnamon stick into the glass. Pear vodka is a great addition to any modern bar and you have a few options for obtaining it for your Christmas mule. Commercially, you will find pear vodka from a number of the biggest brands in the vodka market. Among the top recommendations are Grey Goose La Poire, Absolut Pears and Smirnoff Pear. If you want to seek out a lesser-known and equally impressive pear-flavored vodka, look for Veil, Wild Roots or Xero. Another option that is a little more involved (but also a little more fun) is to make your own pear vodka. It's as easy as any other vodka infusion and should take about one week to reach an optimum flavor. Take cues from this apple, pear, cinnamon vodka recipe and skip the other two ingredients (though the trio is perfect for the Christmas Mule as well). How Strong Is the Christmas Mule? Ginger beer is non-alcoholic, so the vodka is the only alcohol in the Christmas mule. That means that this is a surprisingly light drink and that adds to its appeal as a casual, soothing winter sipper. On average, you can expect the drink to weigh in around 9 percent ABV (18 proof), which is about the same as the average glass of wine.